Heike Young, Content Innovation Lead at Salesforce, joins the show this week to talk about podcasting. She shares some great insights she has learned with the launch and maturity of the podcast she co-hosts for one of the largest software companies in the world. Heike started her career in the publishing business working with the For Dummies books. Later she joined an agency and started to build momentum in the content marketing space. Moving from the agency, she started working for ... See More ExactTarget on the content marketing team which later became a part of Salesforce during an acquisition. At Salesforce, she has one of the most amazing roles I have heard of, and more marketing teams should consider it. Her role is to try new things and help lead the charge into new forms of media for their content marketing efforts. Podcasting is one of those media types she has invested heavily. Throughout the show, we talk about the technology, strategies, content amplifiers, statistics, tools, and formats of podcasting. We had to stop recording, but this show is not over. We can’t wait to have Heike back to continue the conversation. Bio: As content innovation lead at Salesforce, Heike seeks to inspire Salesforce customers with content that helps them do their jobs better. She hosts Salesforce's award-winning podcast, the Marketing Cloudcast, and manages content creation for e-books, blogs, and interactive websites. Heike is a former book editor and social media manager. Her writing and quotes on marketing have been featured in Forbes, VentureBeat, Entrepreneur, and beyond. 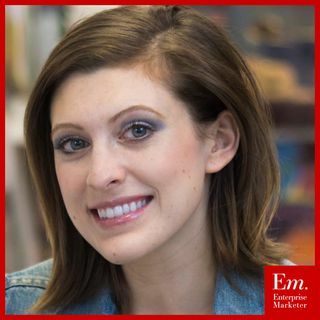 You can find her speaking about digital marketing at events like Dreamforce and Connections.